When the legends stop by... ???? 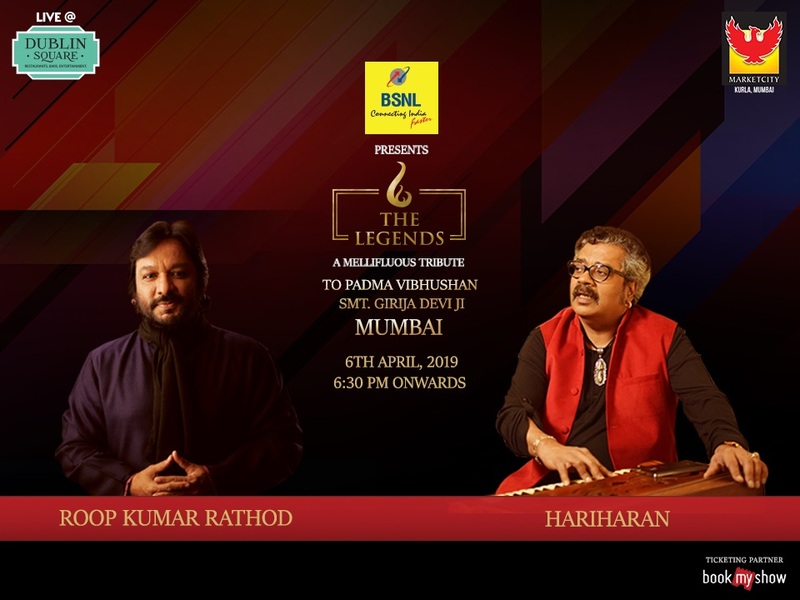 Witness the magic come alive as some of the best contemporary artists like Singer Hariharan, Javed Ali, Ustad Rashid Khan, Roop Kumar Rathod, Malini Awasthi Planet, Sunanda Sharma pay tribute to the legend Girija Devi ji on 6th April at #DublinSquare!